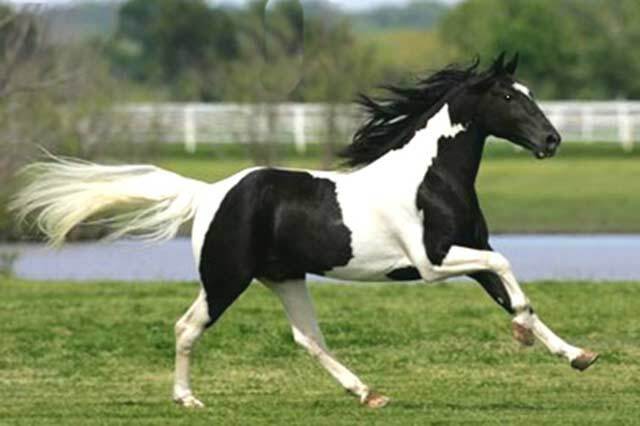 The Tennessee Walking Horse is a member of the light breeds of the equine family. 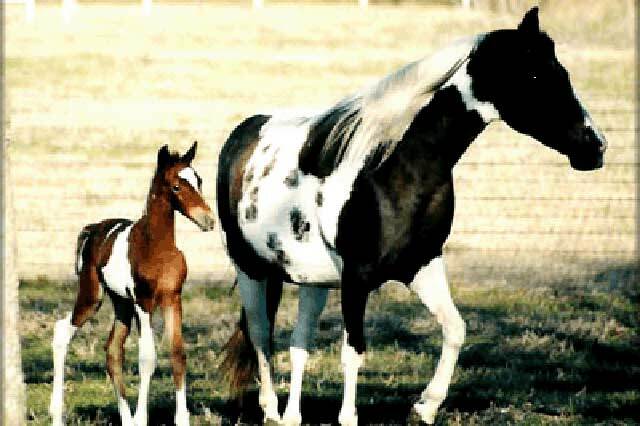 It is a composite breed that evolved from the Narragansett Pacer, Canadian Pacer, Morgan, Standardbred, Thoroughbred and American Saddlebred. These bloods were fused into one animal in the middle Tennessee bluegrass region, resulting in one of the greatest pleasure, show and trail riding horses. The result, over countless years, was the Tennessee Walking Horse - the first breed of horse to bear a state name. Mainly used for utility and riding stock, The Tennessee Walking Horse gained wide popularity for his ease of gait and ability to stride faultlessly over hills and through the valleys of the rocky middle Tennessee terrain. Being used as a utility animal for all types of farm work, as well as family transportation and recreation, the old plantation-type horse was not trained for showing in those days - its gait was naturally inherited.. In 1885, a cross between a stallion called Allendorf, from the Hambletonian family of trotters, and Maggie Marshall, a Morgan mare, produced a black colt with a white blaze, off hind coronet and near hind sock, Black Allan, foal of 1886. He was later to be chosen by the Tennessee Walking Horse Breeders' Association as the foundation sire of the Tennessee Walking Horse and designated as Allan F-1. While the bloodlines of the Gray Johns, Copperbottoms, Slashers, Hals, Brooks and Bullett families ran thick and produced a type known as the Tennessee pacer prior to the arrival of Allan F-1 in Middle Tennessee, it was a cross between Allan and the Tennessee Pacer that produced today's Tennessee Walking Horse. The Tennessee Walking Horse generally ranges from 14.3 to 17 hands and weighs 900 to 1200 pounds. 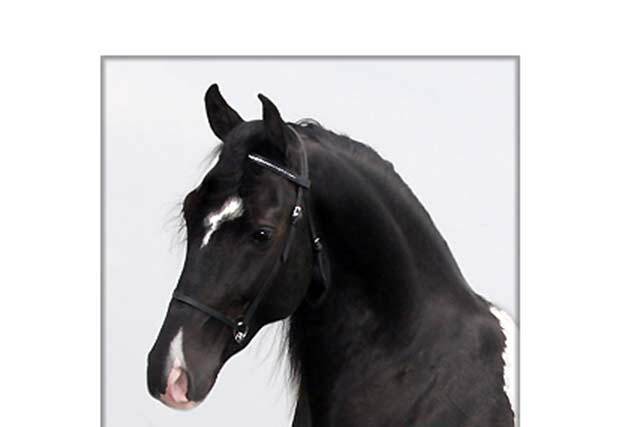 The modern Tennessee Walking Horse possesses a pretty head with small well place ears. The horse has a long sloping shoulder, a long sloping hip, a fairly short back and short, strong coupling. The bottom line is longer than the top line, allowing for a long stride. Tennessee Walking Horses come in all colors and a variety of patterns. The diverse color choices are sure to please any horse enthusiast. Different colors are not discriminated against. The Tennessee Walking Horse performs three distinct gaits: the flat foot walk, running walk and canter. These three are the gaits that the Tennessee Walking Horse is famous, with the running walk being an inherited, natural gait unique to this breed. In 1935, admirers and breeders of this unique horse, met to form the Tennessee Walking Horse Breeders' Association of America. The purpose of this association was to collect, record and preserve the pedigrees of the Tennessee Walking Horse, to maintain a registry, develop rules and regulations governing all aspects of Tennessee Walking Horses, and to sponsor programs promoting this breed. Lewisburg, Tennessee, USA, the home of the first meeting was chosen as the official headquarters for this new breed.